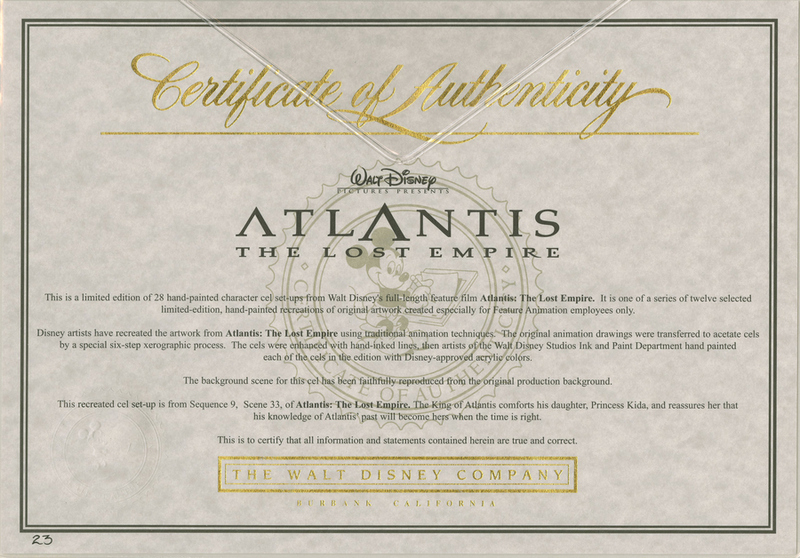 This is a limited edition cel from the Walt Disney Studios production of Atlantis: The Lost Empire (2001). 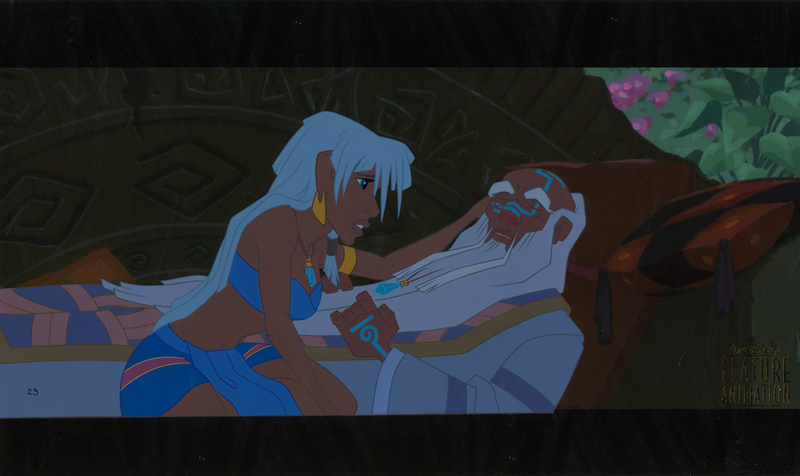 This hand-painted limited edition features Kida and Kashekim and was created by the studio as a gift for the cast and crew that worked on the film. 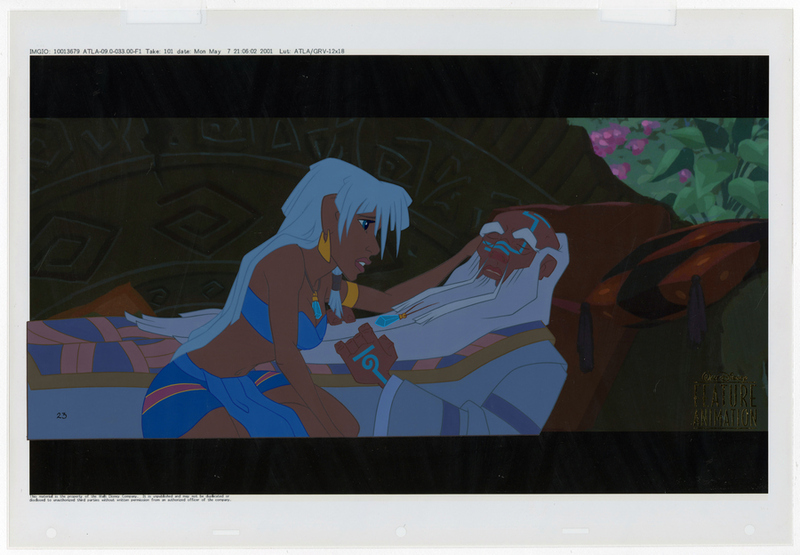 The studio would decide on a few iconic images from each film and offer them to the crew, and they would only produce as many of each limited edition cel as the employees would order, making these employee limited editions much more rare than limited editions made for the general public. The overall measurements of the piece are 13.25" x 23" and the image itself measures 10" x 17".